There’s nothing quite like hardwood flooring. The elegant look, the timeless design, the durability and resilience. 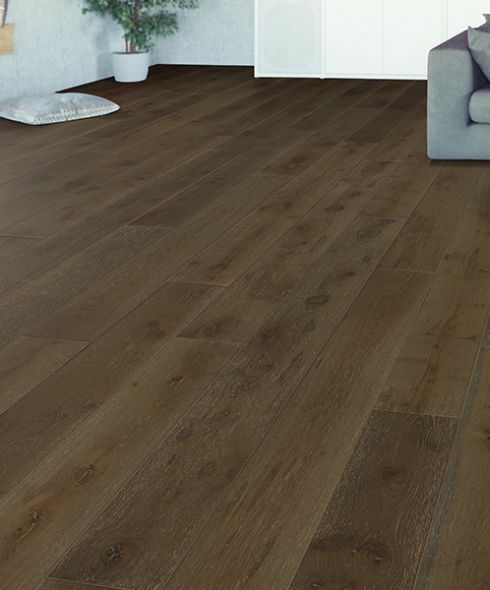 It all adds up to a flooring choice that will make your home a complete pleasure. Complementing any décor or room design, hardwood gives you a foundation you can build on with limitless opportunity. Choosing a species of hardwood for your flooring is the first step. Different species, such as oak, hickory, ash and birch, all give you different looks and benefits. Some species are harder than others and will be much more durable. Some species and cuts offer a unique wood grain that will provide an excellent accent to your home. In addition to the domestic species that you often see and hear about, you can also choose exotic species as well. Brazilian Cherry, Teak and Tigerwood are a few of the exotic species that we import from South America, Africa, Australia and other places around the world. Some people opt to save a little cash and go with a thinner solid wood floor. While this is completely understandable, it’s important to note that this changes a few things. Most importantly, you should know that thinner hardwoods cannot be refinished as often as thicker woods. This cuts down a bit on the overall lifespan of your floor. Another option for hardwood flooring is engineered hardwood. It has a veneer of real hardwood on top of a composite core that gives you the look of the real thing, but more benefits and more options for installation. Engineered wood is sometimes preferred to solid hardwood, because it neither swells nor contracts as temperature and humidity change. This gives you a completely new world of options, especially in where you can install it. Solid wood cannot be placed in a basement, for instance, but engineered wood works fine there. Engineered hardwood is also more resistant to water in some cases, than solid hardwood is. This makes it a worry-free choice for rooms like the kitchen and bathroom. Of course, higher-end materials give you more protection, so a good, water resistant engineered hardwood will carry a price tag that’s a bit higher than others. At Munday Hardwoods, we know our way around a hardwood floor, and we’ll be happy to help you with yours. If you need assistance choosing the perfect flooring for your home, stop by our showroom in Lenoir, NC soon. We will be happy to show you our full line of hardwood flooring.